There are a lot of people who will tell you how to get really good at something. They will tell you “Practice makes perfect.” They will say the only way to get to Carnegie Hall is practice, practice, practice. People will quote various studies telling you how many hours you need to do something before you become an expert. Having a habit, of course, is a long way from being an expert at something. But they both rely on consistently doing something. You cannot become an expert at anything unless you make it a habit first. If I want to be an expert pianist, I would have to practice long hours and make that daily practice a habit long before I reached that high level of expertise. The same holds true for anything you are passionate about. Even though I have been writing since grade school, it is different than writing. Writing fiction, poetry, even blog posts, is something that needs to be practiced. I am always envious of those authors who say they write every single day without fail. I get in ruts where it takes every once of energy and concentration to step away from daily life and show up at the blank page. Then I berate myself for not writing every day. This is where all the advice about how to form a habit comes into play. So how do you start a habit? Author, James Clear, has five easy steps. But is 10,000 hours a good place to start? An article on Brainpickings.com, debunked this as a myth. 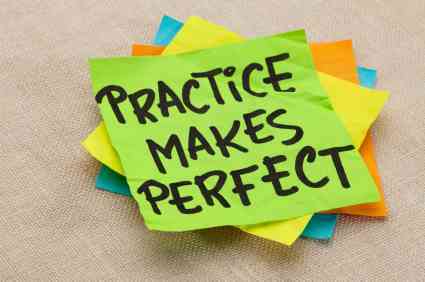 It stated that if you practice 10,000 hours but are doing it wrong, you won’t get anywhere. If you want to learn to play the violin, spending 10,000 hours playing scales will not get you there. You will become very good at playing scales, and that is about it. 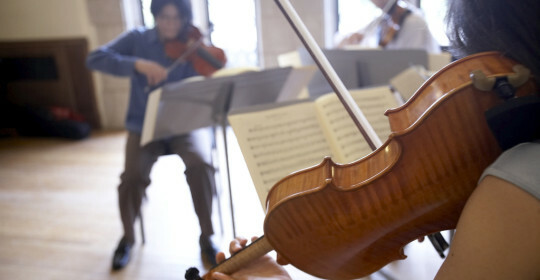 Finger placement and bowing to form a single note is just one tiny part of playing the violin. 10,000 hours of scales alone will NOT get you to Carnegie Hall! It isn’t really the quantity of time, as it is the quality of time. There has to be a certain level of focus as opposed to just going through the motions. If you spend 10,000 hours trying to do the same mechanical movement over and over, you won’t necessarily improve. If you don’t step away from the scales and start practicing a song with dynamics and rhythm, you will probably not enjoy the practice much either! Without the willpower and desire to strive for greatness, we all reach the point where we are “good enough” and stop trying to get better. And what is an expert anyway? In some fields, it seems obvious, but in artistic pursuits it is very subjective. Everyone has the potential of being an expert to someone who is just starting out. I am no self-publishing guru, but I have self-published a book that I am proud to have my name on. I created my own path to birth my project, and there are things I learned in the process. Someone just starting out could learn from me. I am not an expert in that area, but to that beginner, I am much further along. A person who is learning to paint may not have much experience with watercolors. He may be struggling to get the paint and the brush to behave like he wants. His painting may not be what he envisioned. He could learn a lot from someone who may not be an expert painter but has put in many hours working with watercolor. So, if I make daily writing a habit, and then I write for 10,000 hours, always striving for improvement, will I be an author? The answer is yes. I would be an author in that first hour. Would I be a best-seller? Who knows? I don’t necessarily strive to be an expert, but to improve my skills. I think even the most prolific writer can find room to improve. 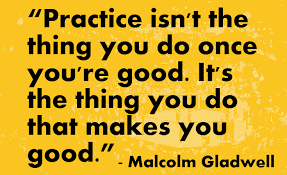 The manner in which we practice is far more important than how many hours we put forth. While the more time spent doing something often leads to improvement, if we are practicing incorrectly we are only going to get better at doing something incorrectly. To improve my writing it is of great benefit to make a habit of practicing every day; however, more is required. Studying those who are considered great, reading material in another genre, learning new writing techniques, and even revisiting writing basics are are useful in becoming a better writer.